We’re here for those who demand pin sharp detail, rich colours and crisp lettering. 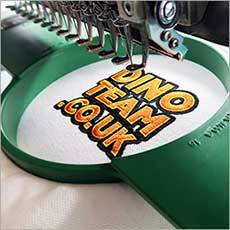 It’s embroidery like this that will make you, as one of our customers, stand out from the crowd. Simply show us your artwork and our expert digitiser will transform your design into a beautiful looking embroidery. From initial concept through to production, we do everything under one roof and deliver in 10 days or less. Sometimes, you just can’t beat the quality and traditional look of embroidery. You’ll be amazed at what we can do with thread! 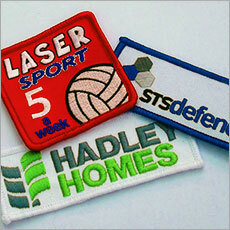 Custom embroidered patches can be sewed or ironed on to almost any garment for a fantastic finish. Laser cutting and stitched edges also allow any custom shape. 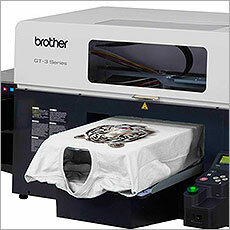 Need a bulk order of custom printed clothing? 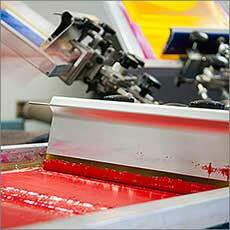 We’ll make sure your artwork is screen-printed to perfection with orders from 50 to 2500+ items. DTG digital printing uses high resolution machinery for crisp, rich, full colour printing with a low minimum order quantity and no setup fees. Paramount Embroidery have been supplying us with Polo Shirts for the TOG's Convention for the last 8 years, and in all that time I have received nothing but compliments from the attendees which speaks volumes for the quality and finish of the shirts. I just wanted to send a note to say thank you for our delivery which arrived, as promised, yesterday. 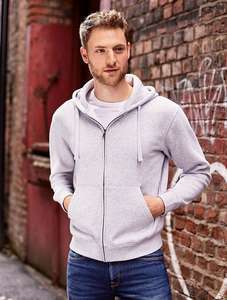 We are delighted with the shirts and fleeces and appreciate your attention to detail. We are getting a lot of comments from our customers already - I should have done this years ago! !